Italy is a country that is well known for its magnificent historical monuments, glittery cities, shopping and its glamour and style. The people of Italy are deep rooted in their age old traditions and culture but what makes the country special is its diversity. Dotted with frost covered mountains, forests, lakes and the beautiful coastline, the country offers a perfect opportunity for you to pamper your taste buds with one of the most admired cuisines. A vacation to Italy might be a little expensive but is surely worth it. Rome: The capital city of Italy is also the most populous city in Italy. It is a city where the old goes hand in hand with the new. The city is popular for its historical monuments like the Pantheon, the Coliseums and the Spanish steps. 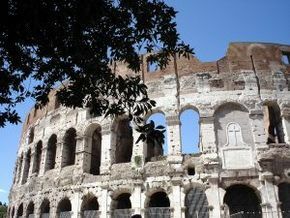 Rome is a perfect holiday destination not only for those who have a taste of history but the city also offers a host of theatres and operas, colorful markets for shopping for you to have an entertaining vacation. The cafes and restaurants in town serve you mouth watering Italian cuisine. Venice: Also known as ‘The City of Water’, this romantic city is literally built over water. Filled with history, arts and culture, the city hosts major religious constructions like the Basilica San Marco, the Gondolas, St. Marks Square among the prominent ones. Milan: Known as one of the important centers for design and fashion in the world, this city is the second largest city in Italy. The town is among the important commercial centers of Italy with the Italian Stock Exchange situated here. With fantastic designer shops all over the town, Milan is definitely a place to quench your thirst for designer wear. Milan is also known as the ‘Furniture and Home ware capital’ of the world. Furthermore the contemporary designs fused with the traditional styles of architecture give a unique look to the city. All in all, Milan is a very interesting destination for tourists from all walks of life. Italy’s economy has come a long way since World War II. From being an agriculturally based economy, the country has shifted its concentration to processing and manufacturing of goods, which has supported the economy quite well. Tourism, commerce, communication, textiles, iron and steel etc are the major industries that contribute to the economy of Italy. Textiles and clothing, electronic goods, machinery and automobiles are some of the main exports that Italy has to offer. Italy has an efficient infrastructure even though it performs a little less than other countries of comparable size. The transport facilities in Italy are just perfect, with a well connected network of highways, over 130 airports connecting Italy to 60 other countries and a highly developed rail service. Though Italy is ranked No.2 by the WHO, most public hospitals in Italy are considered to be under-funded and overcrowded. The rich culture of the country is reflected in its art forms of paintings, sculptures and theatre. Home to some of the greatest legends, like Leonardo Da Vinci, Michelangelo and Giorgio Morandi, Italy has been blessed with people who had a taste for fine arts. Opera is said to be originated in Italy. Many people don’t know that piano and the violin were also invented in Italy. Italy was an abode to a number of famous composers like Vivaldi, Alessandro Scarlatti, Verdi, Puccini etc, giving Italy a higher appreciation in the field of music.